We expect the world of restaurants now a days. Why shouldn’t we, there is so much competition that only the best can survive! And just like we expect the world of a restaurant, our readers expect the world of us. We must be intelligent enough to identify what people will like and what they don’t. Even though taste is a very subjective but if something tastes good to a reviewer, chances are they people are going to appreciate it too. Why? Well, I guess because reviewers eat out all the time and their palette is very evolved! So a bunch of us founded these really cool food review websites and every now and again we meet up to try something new. 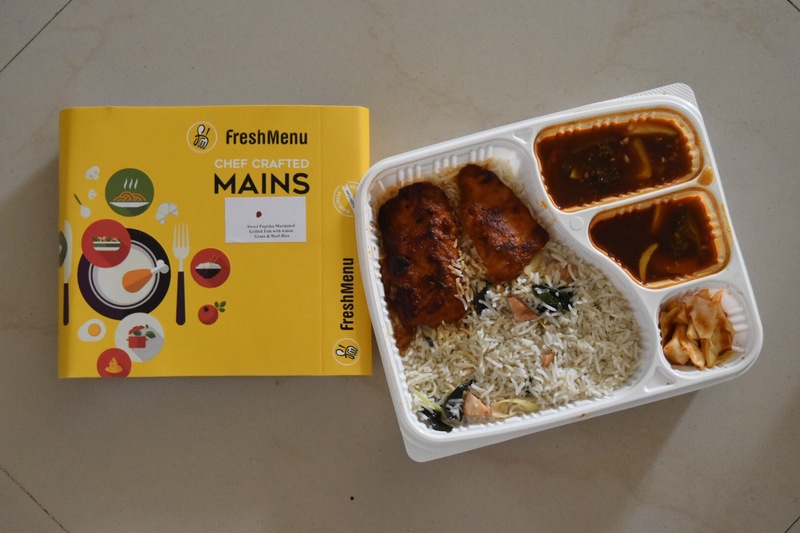 Fresh Menu has a very tempting looking website with well shot pictures of food and the promise of quick delivery. Praise Be. We are a generation of impatient people and we jump at the opportunity of things being delivered to us quickly. Now here is why I think people should never eat alone. When you eat with a group of people you get to try a lot of things, you don’t over stuff yourself, gain weight and you have more space in your stomach to do another review! 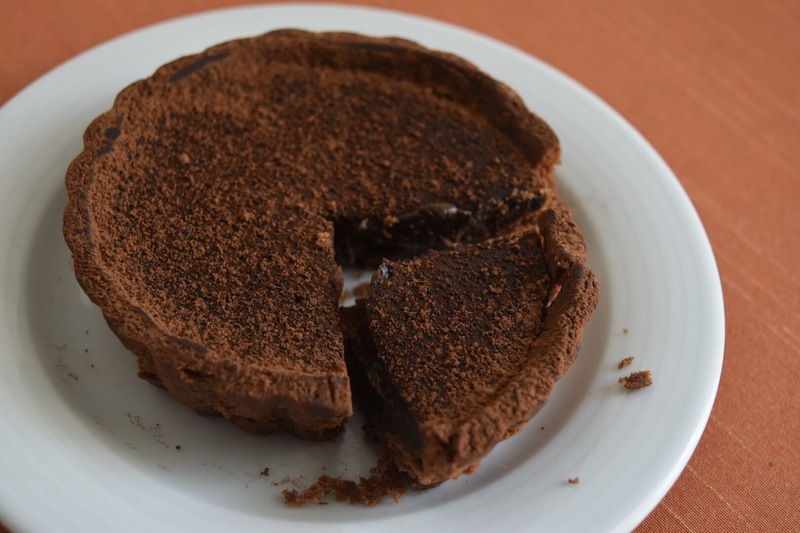 I’m writing a book on desserts and I love the idea of starting my meal with something sweet. The idea may seem ridiculous to a lot of people but i dig desserts. I instagrammed this picture I took before eating this chocolate tart and I’m glad I did because I don’t ever want to forget it. This was one of the most delectable desserts I’ve had in a long time. This is one dessert I’ll remember for a long time. 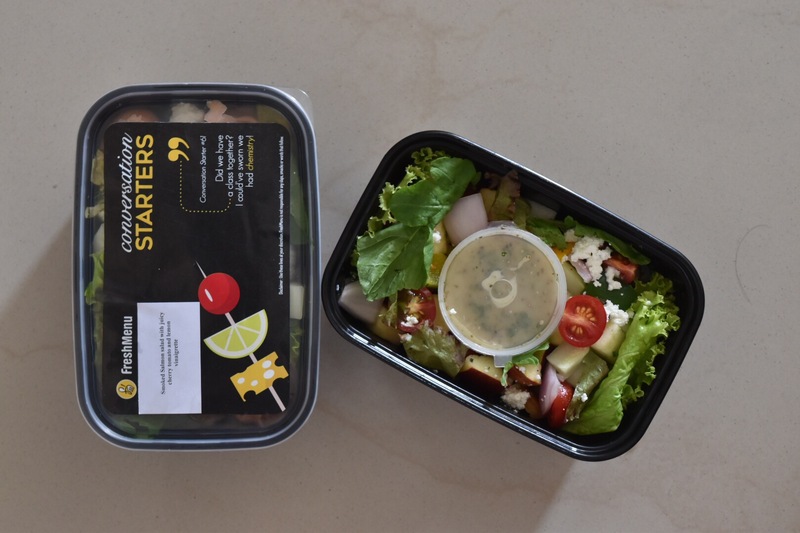 The packaging is brilliant and the cheese in the salad is really nice and crumbly. The lettuce is fresh and the tomatoes are juicy. It’s a good salad. After my senses were taken over by the lovely tart, I wasn’t in a position to appreciate anything else but the chef crafted mains with rice and fish was extremely filling. The fish skin was crunchy and the fish was perfectly cooked. I would have liked it to have lesser lemongrass but I’m sure there are people who can’t get enough of it. The prices are quite competitive and what you get is fresh. There are a lot of options on the menu so pick what you think you’ll like the best. Whatever you do, don’t miss the tart!